Editor’s note: This article is one of an occasional series profiling the 12 finalists for the Milwaukee Awards for Neighborhood Development Innovation (MANDIs). Kalan Haywood is a finalist for the Northern Trust Navigator Award, which recognizes individual leadership. 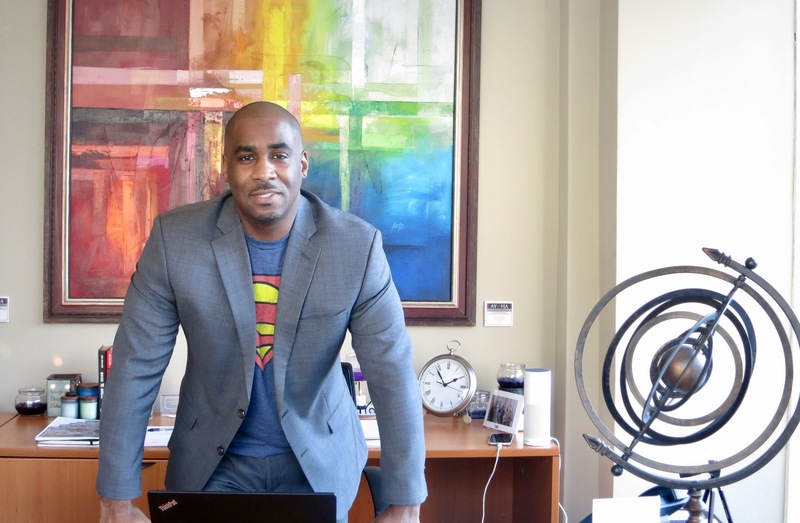 Developer Kalan Haywood, Sr. was 15 years old when he encountered Tyrone Dumas, a former director at the City of Milwaukee’s Bridges & Building Services department. Haywood found himself interning with Dumas during his junior year in high school. Afterwards, he earned his first paycheck interning at EU Architects before studying architecture at the University of Wisconsin-Milwaukee. Now he is president of the Haywood Group, which he co-founded in 1999. Haywood was born and raised in Brewers Hill, a predominantly African-American and Hispanic neighborhood during his youth that has since become majority white. As Haywood grew up, he saw the effects of gentrification firsthand. During the past 18 years, Haywood has developed subdivisions, single-family homes, residential apartments, commercial spaces and retail stores in Milwaukee and other cities that he said “look and feel like Milwaukee,” such as St. Louis, Louisville and Indianapolis. With his $25 million Germania building renovation in 2014, Haywood became the first African-American developer to build in downtown Milwaukee. However, the accomplishment left him with mixed feelings. 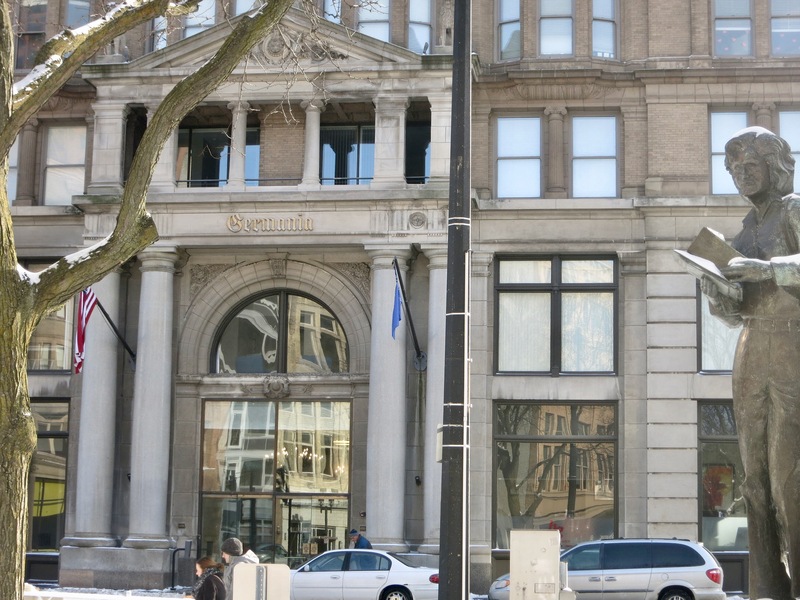 When he renovated the historic building, at 135 W. Wells St., he added residential housing and, in the summer of 2017, moved the Haywood Group’s offices there. Haywood brought that same vision to his project with JCP Construction to move Walgreens from Martin Luther King Jr. Drive to North Avenue. Later, Haywood approached Phelps about the possibility of constructing a healthy grocery store in Bronzeville. “He literally came into our office, walked straight to look for me and my two brothers and said, ‘Look, we are going to solve this fresh food desert in our community and I want you guys to help,’” Phelps said. Pete’s Fruit Market, which opened in September 2017, resulted from what Haywood described as a holistic development approach. Ben McKay, chief community assistance planner at the Southeastern Wisconsin Regional Planning Commission, worked with Haywood on a four-year regional housing research project, which analyzed patterns in Milwaukee’s housing/development sector and studied its effects on health, employment, transportation and other factors. “He provided us with a much better understanding of the connections between the affordability of housing in Wisconsin and how that relates to better job opportunities for Wisconsin residents,” McKay explained. “We just wanted to make sure that we did not have housing [in] a silo,” Haywood explained. Haywood is vice chair of Milwaukee’s Housing Trust Fund Advisory Board, which examines proposals and assesses their financial viability and community impact. He also sits on the advisory board’s Technical Review Subcommittee. According to Mario Higgins, associate director of the city’s Community Development Grants Administration, Haywood has always emphasized giving new and local developers opportunities to improve Milwaukee’s most dilapidated areas and his development expertise has made him an invaluable member of the advisory board. “His background as a developer is extremely valuable for the committee in making those decisions on who to fund,” Higgins said. Haywood said he feels compelled to “build” the next generation. He visits classrooms to speak to students regularly. He said it is important for young people to have access to role models. Now a mentor and role model, Haywood said Dumas is never far from his mind.